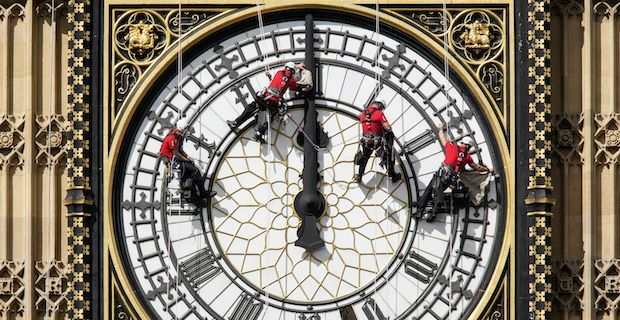 Daylight Savings Time: When do clocks go back this Winter? As we approach the final weekend in October and head deep into Winter, this is the weekend where the clocks go back and we all gain an hours sleep. At 2am this Sunday, make sure you remember to set all the clocks in your home as well as in your vehicles. British Summer time officially ends on the 26th of October and by switching time we can claw back an extra hour of brightness in the morning on the condition that we lose an hour of daylight in the evening. It is a fair trade off for the dark winter months, especially for all of those who have to get up and commute to work every morning. The British tradition of gaining an extra hour of light in the mornings stretches all the way back to World War I when it was first introduced in a bid to reduce domestic coal consumption. There has been a constant debate over whether it makes more sense to scrap it altogether in order to make societal gains in areas like energy conservation and mental health. Phone technology advancements in the past decade generally means that the majority of people with smart phones will not need to manually set their phone clocks back an hour. However, just to ensure you are not left red-faced this Sunday afternoon, be sure to check your time settings to see if the Update Time Automatically setting is enabled. If you don't true your phone that much then you can choose to update the time on your phone the old fashioned way. We will return to British Summer Time, also known as Daylight Savings time, on the final weekend of March but unfortunately on that occasion we will all be losing an hours sleep time as clocks go forward. If you have trouble remembering which way the clocks go on both occasions, memorise this nice little phrase: "Spring Forward, Fall Back". Enjoy your extra hour in bed!